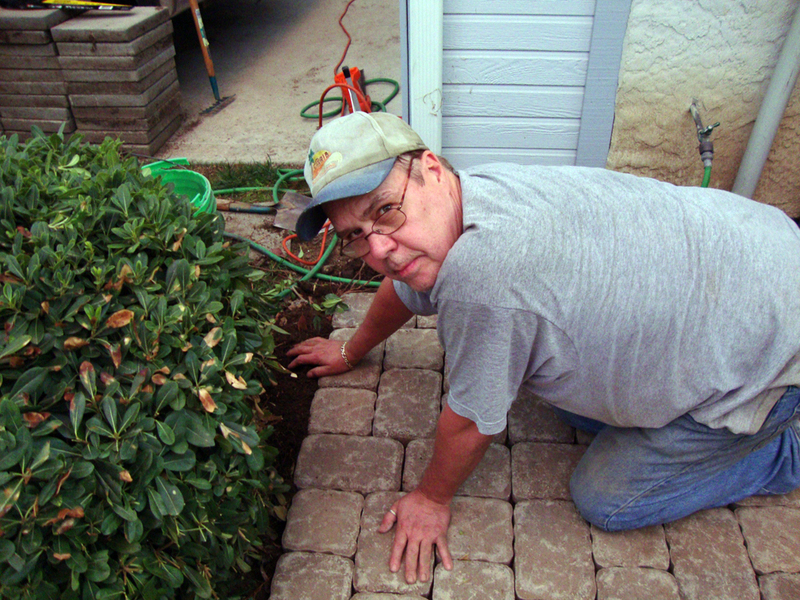 Tony and I want to put pavers down on the north side of the house….from the gate to the corner of the house….and maybe a patio sized pad in the backyard. We really don’t use our backyard all that much and thought maybe if we bought an outdoor firepit…we might enjoy it more. 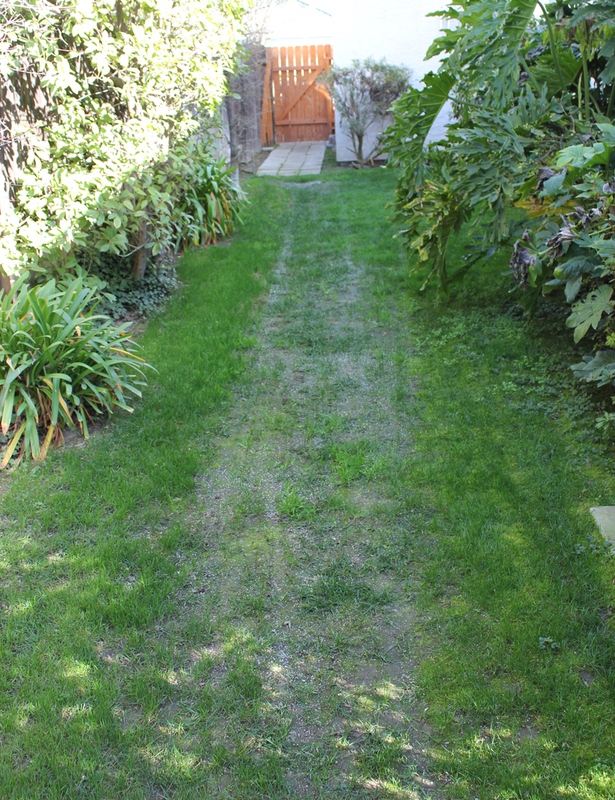 Anyway…the north side of the house….we don’t have very good drainage…and I’d like to put pavers down on that whole section, because by the end of the summer, I have nothing but weeds growing there. Can’t you imagine this section lined with pavers and a few big pots filled with flowers along each side? I think that would be really nice looking. It stays pretty shady on this side of the house too….so I don’t think it would get too hot there. 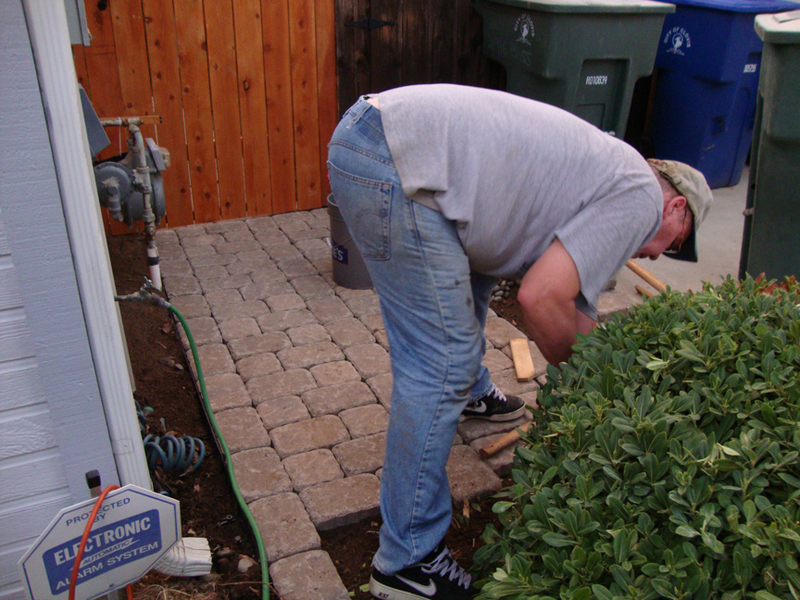 This is what we did to the front side of the gate 2 years ago….and we would use the same pavers to carry on to the back yard. This is the next section I want to work on….I want to go from the gate all the way to where I am standing taking this picture. Can you imagine this with some pots scatter along the edges with pretty flowers in them? This is the north side of the house…so it doesn’t get a lot of sun. Here’s a more close up picture of the problem down the center of this section of our lawn. 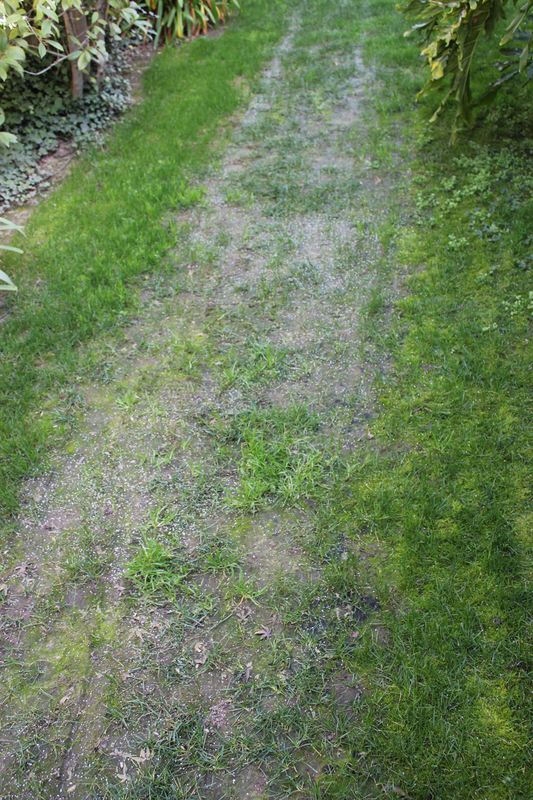 It doesn’t drain well….and we had a LOT of rain this winter….so it just sits and kills the grass….then I end up with weeds there by the end of the summer. And finally, here is a picture from the most recent Lowes ad….using the same pavers that we have already put on the front side of our gate. 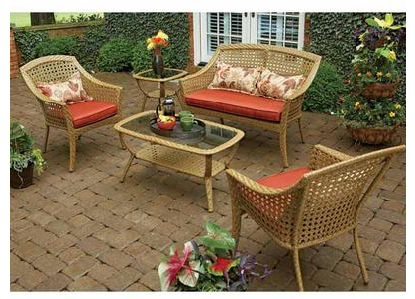 If we took this on around to the backyard…we would do a fire pit in the middle…with some lawn furniture around it kind of like in this picture. This entry was posted on Sunday, February 13th, 2011 at 1:08 am and is filed under Uncategorized. You can follow any responses to this entry through the RSS 2.0 feed. You can leave a response, or trackback from your own site.